Home / #Art / #Exhibition / #Mitte / Featured / Otto Mueller: Painter. Mentor. Magician. Otto Mueller: Painter. Mentor. Magician. Otto Mueller, Self Portrait with Pentagram, around 1924. The exhibition Painter. Mentor. Magician. is the first to spotlight the enormous influence of the former Brücke artist and expressionist Otto Mueller (1874–1930): for over ten years the artist was engaged as a teacher at the State Academy of Arts and Crafts in Wrocław, which at that time was one of the most progressive schools of art in Europe. Particularly from the 1920s onwards, the Wrocław Academy had a reputation for cosmopolitanism and liberality, thanks to the numerous new appointments made by the director at that time, Oskar Moll. This was a place where the many-faceted movements in modern art stood side by side as equals: Expressionism with Otto Mueller, French Peinture of the Académie Matisse with Oskar Moll, New Objectivity (Neue Sachlichkeit) with Alexander Kanoldt and Carlo Mense and Bauhaus with Oskar Schlemmer, Georg Muche or Johannes Molzahn. His early works are influenced by impressionism, Jugendstil, and Symbolism. When he settled in Berlin in 1908, his style became more expressionist. During this time there were meetings with Wilhelm Lehmbruck, Rainer Maria Rilke, and Erich Heckel. In 1910, he joined 'Die Brücke', a Dresden-based group of Expressionist artists. He was a member of the group until it disbanded in 1913 due to artistic differences. At the same time, Mueller also had contact with the artists' group 'Der Blaue Reiter'. After the first World War Mueller became a professor at the academy of arts (Akademie der Bildenden Kunste) in Breslau where he taught until his death on 24 September 1930. Johnny Friedlaender and Isidor Ascheim were among his pupils there. In 1937 the Nazis seized 357 of his works from German museums since the pictures were considered to be degenerate art. Mueller was one of the most lyrical of German expressionist painters. The main topic of Mueller's works is the unity of humans and nature; his paintings emphasize a harmonious simplification of form, color and contours. The medium he preferred for his paintings was distemper on coarse canvas, which produced a mat surface. Altogether his printmaking amounted to 172 prints, nearly all of the lithographs, but including a few woodcuts and etchings. 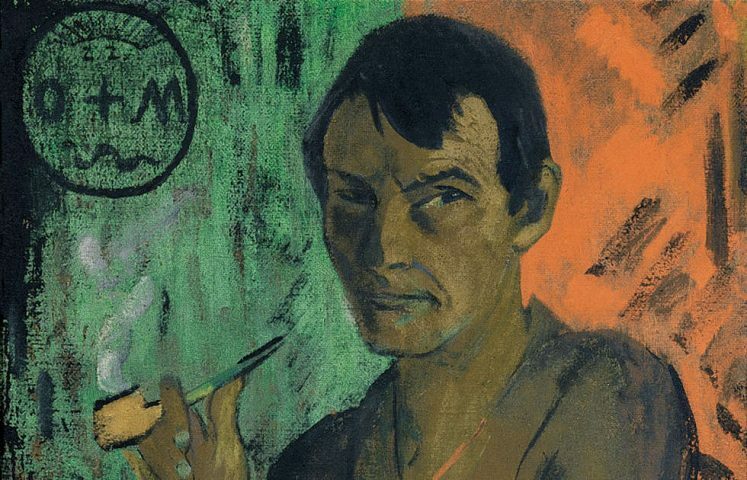 The main focus of the exhibition is on modernist painting: Otto Mueller and his network experienced a creative phase in Wrocław which they described as highly productive and a direct result of their exchanges and reciprocal influence. The ways in which the artist colleagues influenced each other become apparent through thematic similarities and other cross-references: in paintings, works on paper, written statements or photographs. And it was the charismatic Otto Mueller, driven by longing and a thirst for freedom, who had the greatest influence on the Breslau art scene. From the comments of his closest associates, including art critics and writers, he seems to have been a ‘romantic’ and even a ‘magician’. He had already been immortalized by Carl Hauptmann in his biography of an artist “Einhart der Lächler” (1907) – and with this, the Silesian poet laid an important foundation stone for the myth later to surround the artist. Mueller’s striking appearance and his anti-bourgeois way of living held an enormous fascination for his students at the Academy, men and women alike. They loved his total commitment to art, his unconventional teaching methods, and his humor. Some of his students – such as Alexander Camaro or Horst Strempel – went on from Wrocław to Berlin and experienced here the zeniths of their artistic careers. 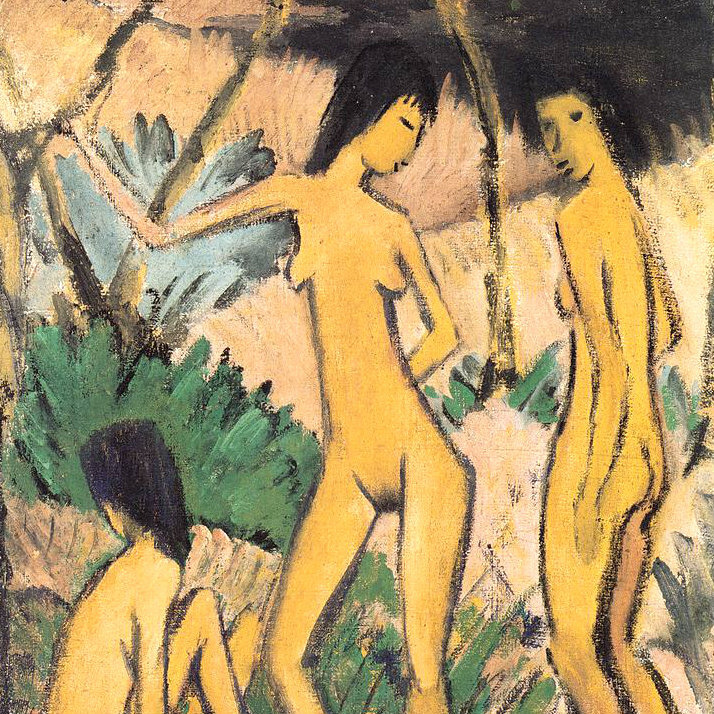 Otto Mueller, 1919: 'Three Nudes in a Landscape. One special feature of the curatorial concept of Painter. Mentor. Magician. is the ‘guest exhibit’ principle: what is meant by this are selected works that spotlight the intercultural similarities and differences over the epochs, particularly in the German-Polish context. The inclusion of ‘Polish Expressionists’ provides unique visual comparisons and new correlations and at the same time underlines the German-Polish orientation of the exhibition. This reflects the relations between the Nationalgalerie in Berlin and the former Silesian Museum of Fine Arts in Wrocław (today Muzeum Narodowe in Wrocław) which were characterized by intensive exchange and collaboration. One paradigmatic example of this was the Otto Mueller Memorial Exhibition initiated by Director Erich Wiese in Wrocław in 1931 – shortly after the death of the celebrated expressionist – which was adopted that same year by Ludwig Justi, Director of the Nationalgalerie as a commemorative exhibition in Berlin. The present exhibition Painter. Mentor. Magician. follows the opposite route. It has been developed in Berlin and will go on to be shown in Wrocław in a modified form. In Berlin the exhibition continues the sequence of presentations on Classic Modernism that have been shown during the renovation of the Neue Nationalgalerie at Hamburger Bahnhof – Museum für Gegenwart – Berlin: The Black Years. Histories of a Collection: 1933–1945, Ernst Ludwig Kirchner: Hieroglyphs and Rudolf Belling. Sculptures and Architectures. The exhibition is made possible by: Freunde der Nationalgalerie, Hauptstadtkulturfonds, Kulturstiftung der Länder, Ernst von Siemens Kunststiftung, Stiftung für deutsch-polnische Zusammenarbeit, and Stiftung Preußische Seehandlung. Painter. Mentor. Magician. Otto Mueller and his Network in Wrocław.